Less than 24 hours after Senator Kamala Harris announced her historic bid for President, right-wing talking heads attacked her by pulling out their favorite old card: birtherism, a bigoted tactic pushed by Donald Trump against President Barack Obama in 2008 and 2012, claiming Obama wasn’t eligible to be president because he wasn’t born in the United States. Now a new crop of right-wing trolls are making the same claims against Senator Kamala Harris — only this time their misinformation campaign is being amplified with the help of Twitter. Despite the fact that Senator Harris was born in Oakland, CA, right-wing trolls are using her childhood spent in another country to further cement their racist and preposterous claim that Senator Harris is ineligible for the nation’s highest office. Normally, the media ignores these conspiracy theories. But CNN anchor Chris Cuomo chose to put the onus on Senator Harris to prove where she was born. This line of thinking is dangerous. It gives legitimacy to conspiracy theorists’ racist, birther claims that Senator Harris, the only declared Black candidate, is not American enough. We saw what happened in 2016 when Steve Bannon and Russian propagandists launched campaigns on Facebook to suppress Black voter turnout. In response to pressure from Color Of Change and our partner organizations, Facebook adopted new policies that ban the spreading of voting misinformation in U.S. elections. This is a great start, but social media platforms need to do more to curb the misinformation on their sites. 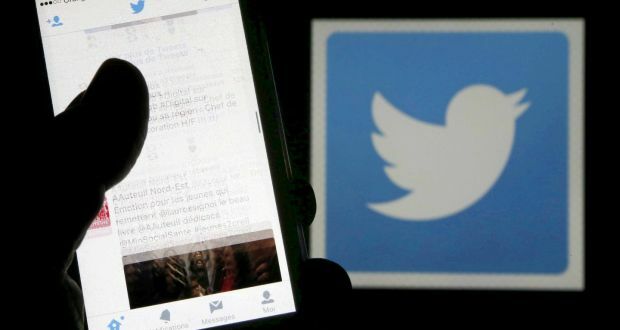 Twitter must develop policies and procedures to make it easy for users to report misinformation, remove the tweets in question quickly before misinformation spreads further, and remove repeat offenders from their platform. We don’t need Birtherism 2.0. Twitter needs to do better. Right-wing trolls with verified accounts, like Jacob Wohl, are intentionally launching misinformation campaigns about Black candidates like Senator Kamala Harris to further their racist claims that Black candidates aren't American enough or qualified enough to hold office in this country. Their claims are being amplified on your platform and are reaching all the way to mainstream media outlets like CNN. Because so many of the right-wing provocateurs promoting these conspiracy theories have verified accounts on Twitter, it gives them a form of legitimacy. We are demanding that you develop policies and procedures to make it easy for users to report misinformation, remove the tweets in question quickly before misinformation spreads further, and remove repeat offenders from their platform.